Friends, today’s PSD share is a flip clock countdown graphic in PSD format. The countdown clock is a pretty good idea for showing some product or service is going to be launched at a specific time in future. 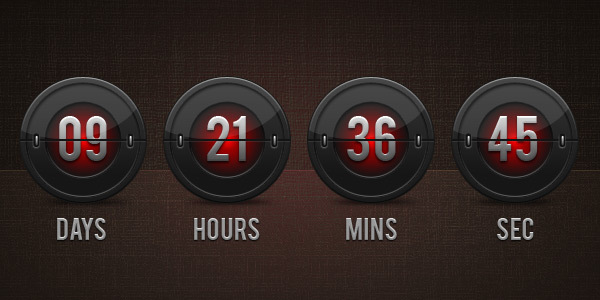 The download includes a dark, glossy flip-clock template in vector shape layers. We know vector layers are a great way to edit the graphics easily without losing quality. You can change the numbers as well. I have used a free font called Bebas. Download the PSD file and let me know where you’d be going to use the flip-clock.